Okay. So, I'm Sarah and I usually do this whole blogging thing over at and beauty or something (yep, the name did make absolute sense to at least me at the time any way). But guess what? Today, I've been let loose and allowed the absolute adventure of chattering over at these parts for a change. I know, right? Never thought I'd see the day either. You see, I couldn't really be much more of a fan of Stacey's blog if I tried. I mean, look at it. Seriously. If I ever need myself a good ol' high end fix (who doesn't? ), I just know she'll deliver for me. And then some. We're talkin' some seriously droolworthy collection she's got right there. Not only that, but she's an absolute wonder of a lady too. Basically, I just can't get enough of her. And so, what better way to do this thing than with a nod to my very favourite Stace-kinda post? You got it, those oh-so-infamous and fully-enabling lip six posts of hers. Oh, swoon. Sure. My pout ain't quite as deliciously luscious as Stacey's (I'm blamin' that matte fetish of mine) and my lip-swatch-skillz aren't nearly as well-practised (as in, never). But hey, here we have it. 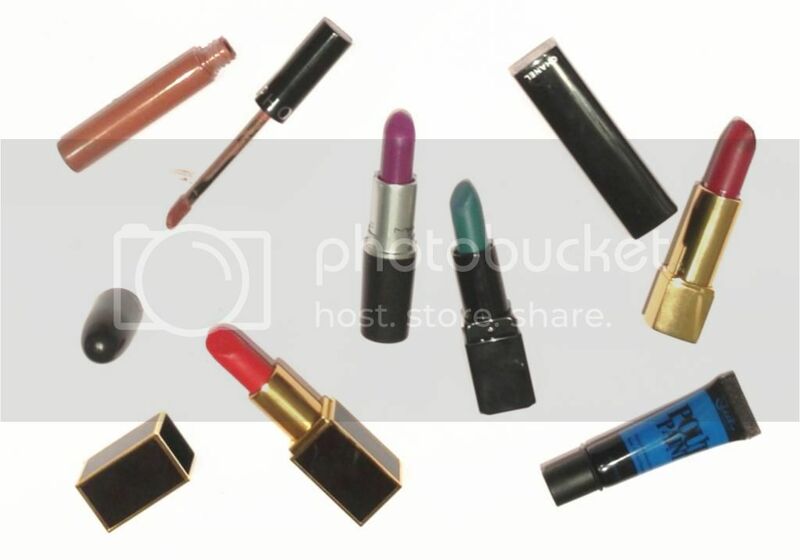 A mash-up of my very own nearest and dearest lipstick loves of the moment - along with perhaps, one or two more unusual picks thrown in for good measure. 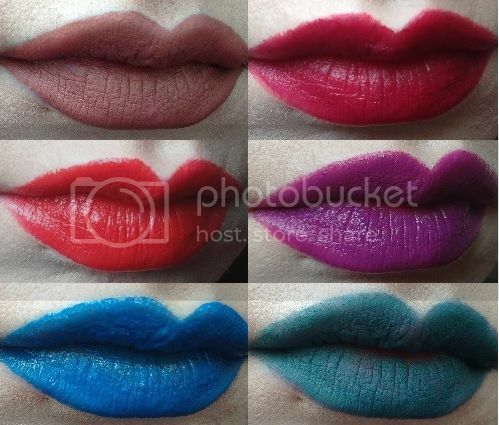 Blue lips, anyone? 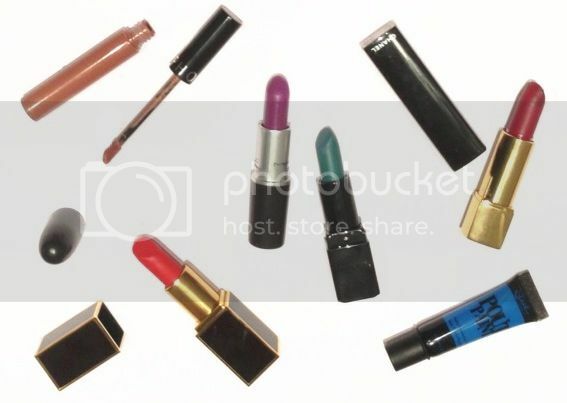 Oh, go on then..
And so, six extraordinary lipstick-looks and one very worse for wear set of lips later - what d'ya reckon? Any takers?